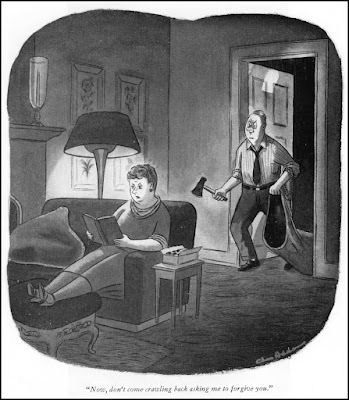 That's right, this month the fantastic Charles Addams, is my icon of the month. Charles Samuel Addams was born on January 7, 1912 in Westfield, New Jersey, the son of Grace M. and Charles Huy Addams, a piano-company executive who had studied to be an architect. He was known as "something of a rascal around the neighborhood" as childhood friends recalled. Addams was distantly related to U.S. presidents John Adams and John Quincy Adams, despite the different spellings of their last names, and was a first cousin twice removed to noted social reformer Jane Addams. Young Charles demonstrated an appreciation for the macabre at an early age. He had a deep fascination for coffins and skeletons, as well as a good practical joke. 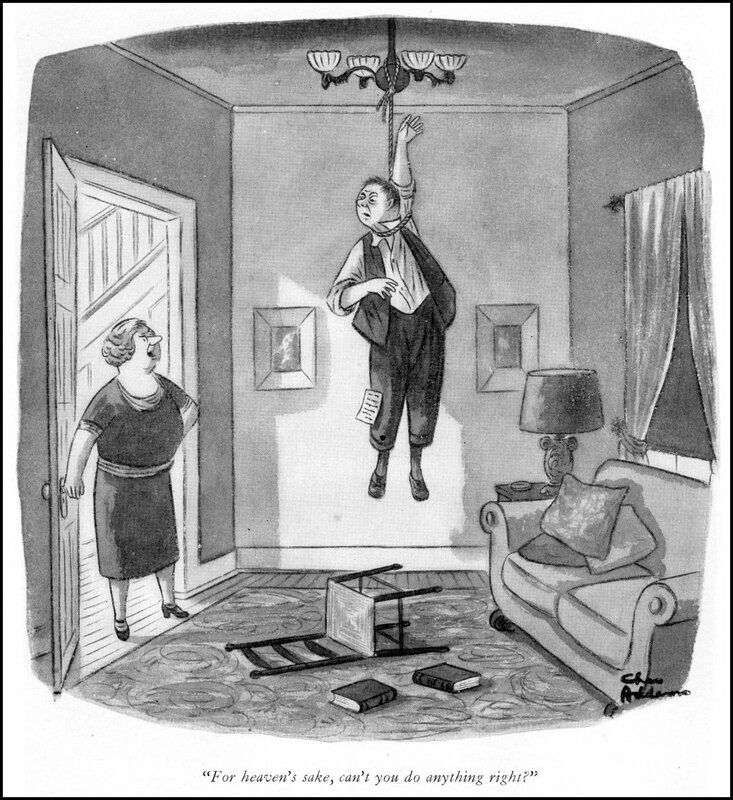 "We had a dumbwaiter in our house," he later recounted, "and I'd get inside on the ground floor, and then very quietly I'd haul myself up to grandmother's floor, and then I'd knock on the door, and when she came to open the door, I'd jump out and scare the wits out of her." A house on Elm Street, and another on Dudley Avenue that police once caught him breaking into, are said to be the inspiration for the Addams Family mansion in his cartoons. College Hall, the oldest building on the current campus of the University of Pennsylvania, where Addams studied, was also an inspiration for the mansion. 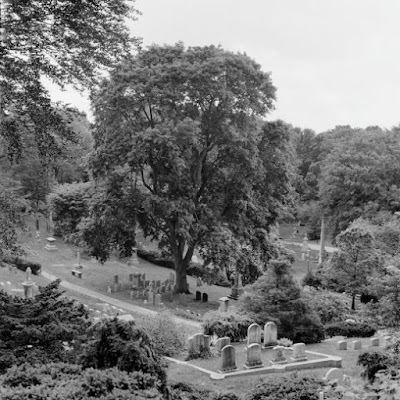 He was fond of visiting the Presbyterian Cemetery on Mountain Avenue. One friend said of him: "His sense of humour was a little different from everybody else's." He was also artistically inclined, "drawing with a happy vengeance", according to a biographer. His father encouraged him to draw, and Addams did cartoons for the Westfield High School student literary magazine, Weathervane. He attended Colgate University in 1929 and 1930, and the University of Pennsylvania, where a fine-arts building on campus is named for him, in 1930 and 1931. In front of the building is a sculpture of the silhouettes of "Addams Family" characters. He then studied at the Grand Central School of Art in New York City in 1931 and 1932. 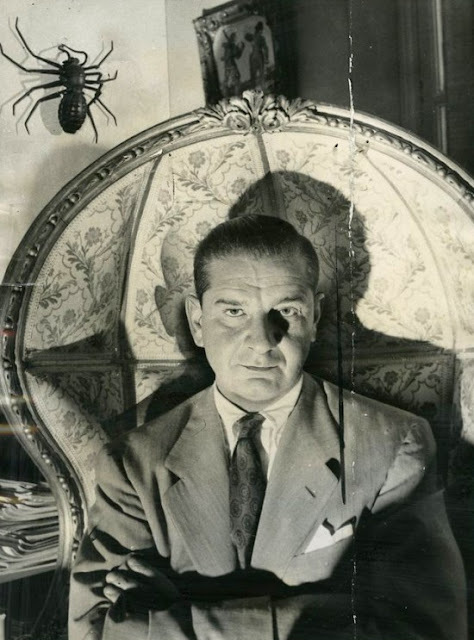 In 1933,Charles Addams joined the layout department of True Detective magazine, where he had to retouch photos of corpses that appeared in the magazine's stories to remove the blood from them. Addams complained: "A lot of those corpses were more interesting the way they were." Addams' first drawing, a sketch of a window washer, ran in The New Yorker on February 6, 1932, in 1935 he was hired by The New Yorker as a regular cartoonist. 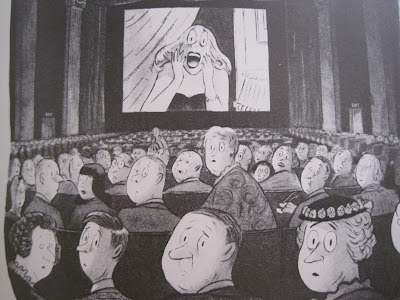 The pay was modest - just $35 per cartoon - but the magazine allowed Addams to explore his voice and imagination as well as hone the dark humour that would come to define his work. His cartoons ran regularly in the magazine from 1938, when he drew the first in the series that came to be called "The Addams Family", until his death. He was a freelancer throughout that time. "I have gotten a lot of letters about my work, most of them from criminals and subhumans who want to sell ideas. Some of the worst come from a minister in Georgia." Addams's mind went to dark, ghoulish places few cartoonists would allow themselves to venture. His popularity extended to some of the biggest names in Hollywood. Cary Grant wanted to meet the man who called himself "A Defrocked Ghoul," as did Alfred Hithcock, who once showed up at Addams's New York home unannounced to see the cartoonist in the flesh. 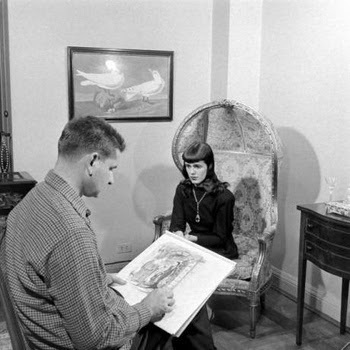 In late 1942, he met his first wife, Barbara Jean Day, who purportedly resembled his cartoon character 'Morticia Addams'. The marriage ended eight years later, after Addams, who hated small children, refused to adopt one. She later married New Yorker colleague John Hersey, author of the book "Hiroshima". Addams married his second wife, Barbara Barb (Estelle B. Barb), in 1954. A practicing lawyer, she "combined Morticia-like looks with diabolical legal scheming", by which she wound up controlling "The Addams Family" television and film franchises and persuaded her husband to give away other legal rights. At one point, she got her husband to take out a $100,000 insurance policy. Addams consulted a lawyer on the sly, who later humorously wrote: "I told him the last time I had word of such a move was in a picture called Double Indemnity starring Barbara Stanwyck, which I called to his attention." In the movie, Stanwyck's character plotted her husband's murder. The couple divorced in 1956. By the early 1980s, Addams's work had comprised 12 book collections and been exhibited at institutions like the Fogg Art Museum, the Metropolitan Museum of Art, and the Rhode Island School of Design, as well as many others. He famously signed his work, Chas Addams, intentionally short-handing his first name because, he explained, "it looks better than writing out Charles." Among his many honours over the course of his lifetime, Addams won the Humor Award from Yale and an honorary doctorate from the University of Pennsylvania. Addams was "sociable and debonair". A biographer described him as being "a well-dressed, courtly man with silvery back-combed hair and a gentle manner, he bore no resemblance to a fiend". Figuratively a ladykiller, Addams accompanied women such as Greta Garbo, Joan Fontaine and Jacqueline Kennedy on social occasions. 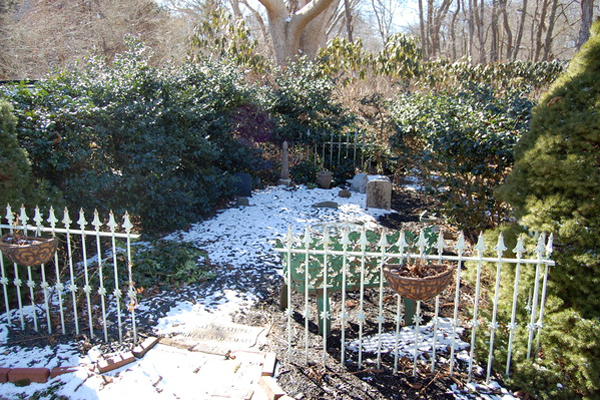 Later, Addams married his third and last wife, Marilyn Matthews Miller, best known as "Tee" (1926–2002), in a pet cemetery. In 1985, the Addamses moved to Sagaponack, New York, where they named their estate "The Swamp". Addams died on September 29, 1988, at the age of 76, at St. Clare's Hospital and Health Center in New York City, having suffered a heart attack while still in his car after parking it. An ambulance took him from his apartment to the hospital, where he died in the emergency room. "He's always been a car buff," his wife Marilyn told reporters. "So it was a nice way to go". As he had requested, a wake was held rather than a funeral; he had wished to be remembered as a "good cartoonist". He was cremated and his ashes were buried in the pet cemetery of his estate "The Swamp". He also created a syndicated comic strip, "Out of This World", which ran in 1956. There are many collections of his work, including "Drawn And Quartered" (1942) and "Monster Rally" (1950), the latter with a foreword by John O'Hara. 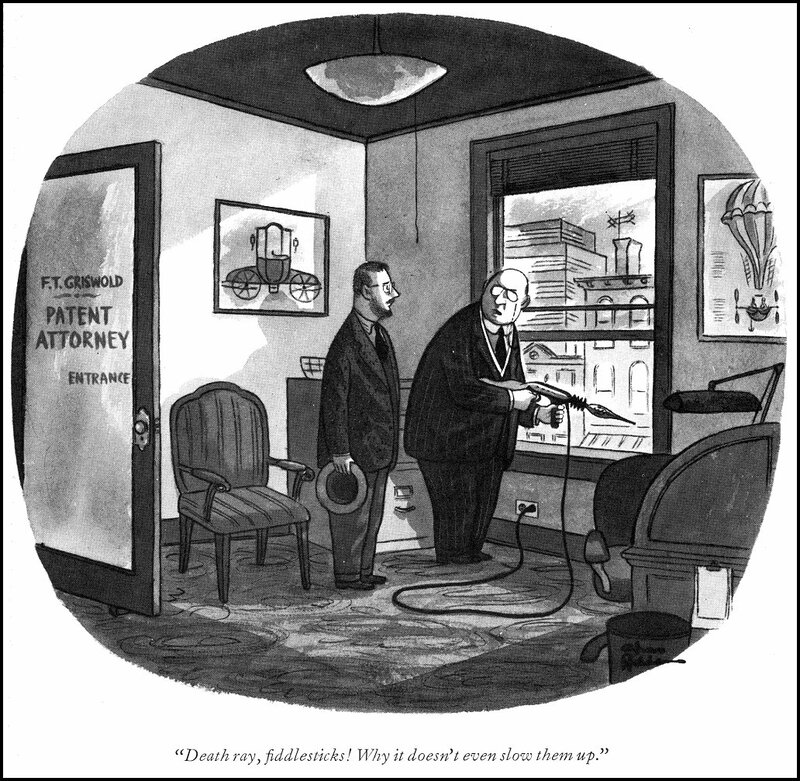 Typical of Addams' work, one cartoon shows two men standing in a room labeled "Patent Attorney". One is pointing a bizarre gun out the window toward the street and saying: "Death ray, fiddlesticks! Why, it doesn't even slow them up!" Stated "The Addams Family". "Dear Dead Days" (1959) is not a collection of his cartoons (although it reprints a few from previous collections); it is a scrapbook-like compendium of vintage images (and occasional pieces of text) that appealed to Addams' sense of the grotesque, including Victorian woodcuts, vintage medicine-show advertisements, and a boyhood photograph of Francesco Lentini, who had three legs. Addams drew more than 1,300 cartoons over the course of his life. Those that did not appear in The New Yorker were often in Collier's and TV Guide. In 1961, Addams received, from the Mystery Writers of America, a Special Edgar Award for his body of work. His cartoons appeared in books, calendars, and other merchandising. 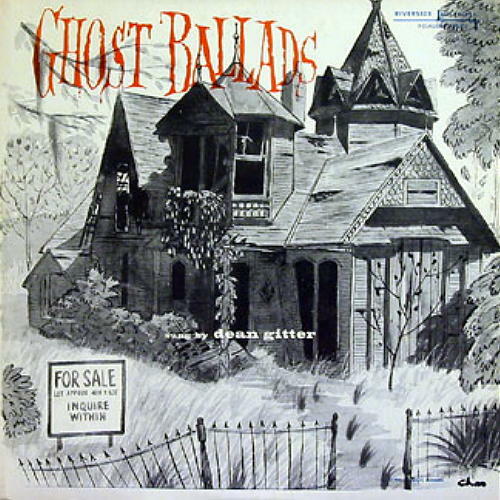 Singer-guitarist Dean Gitter's 1957 recording "Ghost Ballads", an album of folk songs with supernatural themes, was packaged with cover art by Addams showing a haunted house. The films The Old Dark House (1963) and Murder by Death (1976) feature title sequences illustrated by Addams. In 1946, Addams met science-fiction writer Ray Bradbury after having drawn an illustration for Mademoiselle magazine's publication of Bradbury's short story "Homecoming", the first in a series of tales chronicling a family of Illinois vampires named the Elliotts. The pair became friends and planned to collaborate on a book of the Elliott Family's complete history with Bradbury writing and Addams providing the illustrations, but it never materialized. Bradbury's stories about the "Elliott Family" were finally anthologized in "From the Dust Returned" in October 2001, with a connecting narrative and an explanation of his work with Addams, and Addams' 1946 Mademoiselle illustration used for the book's cover jacket. Although Addams' own characters were well-established by the time of their initial encounter, in a 2001 interview, Bradbury stated: "(Addams) went his way and created the Addams Family and I went my own way and created my family in this book." Janet Maslin, in a review of an Addams biography for The New York Times, wrote: "Addams's persona sounds cooked up for the benefit of feature writers... was at least partly a character contrived for the public eye," noting that one publicity photo showed the humourist wearing a suit of armor at home, "but the shelves behind him hold books about painting and antiques, as well as a novel by John Updike." Filmmaker Alfred Hitchcock was a friend of Addams, and owned two pieces of original Addams art. Hitchcock references Addams in his 1959 film, "North by Northwest". During the auction scene, Cary Grant discovers two of his adversaries with someone whom he also thinks is against him and says: "The three of you together. 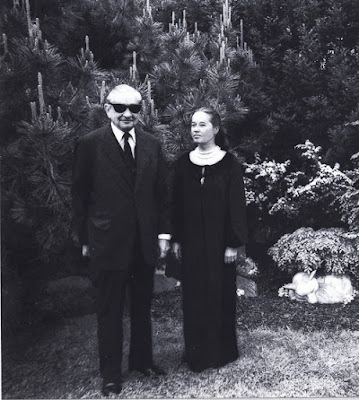 Now that's a picture only Charles Addams could draw."